When I was a kid in Torrance, a suburb of Los Angeles, we always made sure to roll up the car windows when driving past the ExxonMobil refinery. Usually, I would hold my breath as long as I could until we got by. I was sure breathing in that air could not be good—and not just because it stunk. It’s been nearly 13 years since my family left Torrance, but I can still remember the awful stench belched out of that refinery. A little distance seemed to make a lot of difference. Even where I lived, less than 1.5 miles away, the air didn’t seem much different from the rest of the LA area. People make fun of the LA smog, but I didn’t see the infamous brown haze. I only noticed something seemingly off about the air when the refinery and its smokestacks were right in front of me. Nobody I knew had obvious breathing troubles. I did have a classmate, Kyle, in elementary school who had asthma. But his family had moved to the area from somewhere else and he apparently developed it there. I was born in Torrance and moved away with my mom when I was 11. Now, in my 20s, sometimes I experience sudden shortness of breath, which I can’t quite explain. So, I wonder how much of a connection there could be between what I feel now and the air I breathed back then. I started to wonder about it even more after I enrolled at the Graduate School of Journalism at the University of California at Berkeley and was assigned to cover the nearby city of Richmond during my first semester. I didn’t know much about Richmond except that it had a reputation for a lot of crime and that it, too, has a big refinery. As I quickly discovered, Richmond is much more than just an oil town. The city played a key role in WWII as the site of the Kaiser Shipyards where hundreds of Liberty and Victory ships were built. The SS Red Oak Victory, the last of its kind, still sits at Kaiser Shipyard No. 3 and is now a museum. Richmond celebrates this part of its history and the women who worked on the ships with a museum dedicated to the “Rosie the Riveter.” The center of town is bounded by train tracks that give it its edgy nickname, the “Iron Triangle,” and the residents, mostly African American and Latino, deal with chronic gun violence. Chevron Corp., which generated more than $200 billion in revenue last year, is nothing short of an economic force in Richmond. This is demonstrated by years of financial reports. The refinery is Richmond’s biggest property tax payer by a wide margin and ranks as its top employer, according to the city’s Comprehensive Annual Financial Report for July 1, 2013-June 30, 2014, the most recent available. Its taxable value has been assessed at close to $3.2 billion dollars, which makes up about 32 percent of Richmond’s total taxable assessed value. In contrast, Guardian KW Hilltop LLC, a real estate business that came in second, has a taxable assessed value of less than $150 million. Those yearly financial reports, which are available on the city’s website from 2001-2002 through 2013-2014, have identified Chevron as the No. 1 property tax payer and employer in Richmond for almost all of the past 13 years. 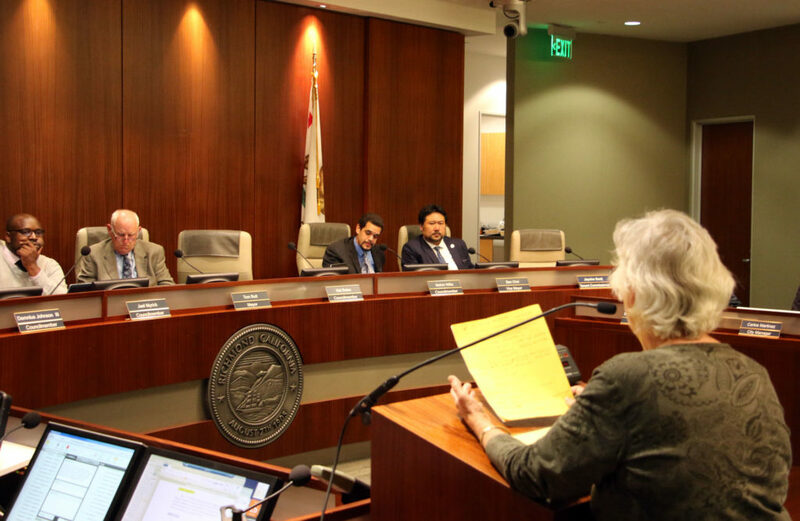 Only one entity was shown to have put more people to work in the city during that time: the West Contra Costa Unified School District in 2009-2010; in three other years, the reports did not say which local companies employed the most people. For the two years in which the reports did not point to Chevron as Richmond’s highest property tax payer, the information had not been included. The Chevron refinery has stood in Richmond since 1902, three years before the city was officially established. Throughout its history, Chevron has tried to brand itself as a good neighbor. Activist Andrés Soto saw this growing up near the refinery. “When I was a child … people viewed the refinery as benevolent,” he said, noting Chevron’s charitable donations and work for local nonprofits. This year, the corporation funded the “Richmond Promise,” a program that will give graduates of city high schools a $1,500 yearly scholarship for up to four years of college. Chevron also donated more than $6.6 million last year to organizations in Richmond and elsewhere in West Contra Costa County. Almost $300,000 of its charitable contributions went to the Family Sustainability Project, “which is working to rid North Richmond homes of asthma triggers such as dust and mold,” according to the February 2015 issue of Chevron Richmond Today, the refinery’s newsletter. Chevron, the Community Energy Services Corporation, Inc. and the Prescott-Joseph Center for Community Enhancement, Inc. worked together to establish the project. Eventually, he and other Richmond residents came to realize Chevron’s true role in the city. He said there is “a consciousness that’s built up in the community” regarding “Chevron’s dominance of the local economy and politics.” The corporation stepped into Richmond politics “when the community started standing up and demanding changes,” he continued. Soto, who is the Richmond community organizer for Communities for a Better Environment (CBE), was at the forefront of a concerted effort to work against Chevron’s political influence. This led to the formation of the Richmond Progressive Alliance in 2003, of which he is a founding member. In Richmond, the childhood asthma rate is more than twice the national average. An estimated 17 percent of Richmond children have asthma, compared with 8 percent nationwide, according to the Richmond Health Survey Report. The 2009 report, which was released by Communities for a Better Environment, points to “elevated rates of health problems—most notably, child and adult asthma” as a driving force behind environmental justice work in Richmond. It drew on information from more than 700 residents, including close to 300 children. Those people came from four neighborhoods: Atchison Village, Liberty Village, St. Mark’s Church/Nevin Center and North Richmond. Among the 20 adults in the study who had lived in Richmond for 15 or more years and who were considered lifelong residents, the asthma rate was 45 percent. Most of the people surveyed said they were concerned about pollution. When they were asked to name specific sources of pollution, the refinery was at the top of the list, followed by cars, industrial facilities, trucks and trains. Richmond has a hospitalization rate for children with asthma that is almost double the California average, according to Contra Costa Health Services. Across all ZIP codes for which data was available, close to 500 Richmond children aged 17 and under went to the emergency room because of asthma in 2012. Most of the cases came from the same ZIP code as the refinery and the nearby 94804 ZIP code came in a close to second, according to the California Department of Public Health. The two areas also had nearly 450 adult cases of asthma-related hospital visits. For years, local environmental activists have raised concerns about the health and ecological effects of the refinery. and Asthma is hardly the only issue. His group 350 Bay Area focuses on pollution and climate change. Chevron Watch, as the name implies, has a sharper focus on the one large and visible company that maintains a refinery and its business headquarters in the Bay Area. It might seem only natural to assume there must be a connection between a large corporate polluter dirtying the air and a heightened level of respiratory illness. After all, a refinery’s effect on the surrounding air is plain to see—and smell. When something goes wrong, the consequences for public health are even harder to ignore. In 2012, for instance, a fire at the Chevron refinery sent thousands of residents to hospitals and remains a sore spot in the company’s community relations. On Aug. 6, 2012, a worker conducting a routine equipment check noticed an apparent leak. He, his supervisor and the shift team leader “concluded the leak was not significant enough to require a shutdown, but was still a serious situation,” according to the Final Investigation Report released by the U.S. Chemical Safety and Hazard Investigation Board earlier this year. They called in the Chevron Fire Department, which is standard practice when a leak is found. Firefighters marked off an area of 400 square feet; everything outside of it was considered safe. The section of pipe damaged during the Aug. 6 fire at Chevron’s Richmond refinery (Photo courtesy of: US. Chemical Safety Board). More Chevron employees came in to analyze the leak, locate its exact source and discuss how to handle it. They had firefighters use their hoses to knock the insulation off the pipes in the immediate vicinity in the hopes that would let them see where the leak was coming from. What it showed them was that the leak had gotten much worse. Highly flammable “hydrocarbon liquid was now spraying from the pipe,” said the report. Only then, approximately two and a half hours after the leak was discovered, did operations managers give the order to shut the unit down, “an action that requires hours to complete,” according to the report. They did not have hours, though. A dense, hot vapor cloud grew quickly, surrounding 19 firefighters and other workers, some of whom were in the supposedly safe area. Two minutes later, a fireball erupted. One firefighter was trapped in a fire engine that got caught in the explosion, despite sitting in the safe zone, about 65 feet away from the leak, but his full-body protective equipment allowed him to get through the flames and to safety without getting hurt. 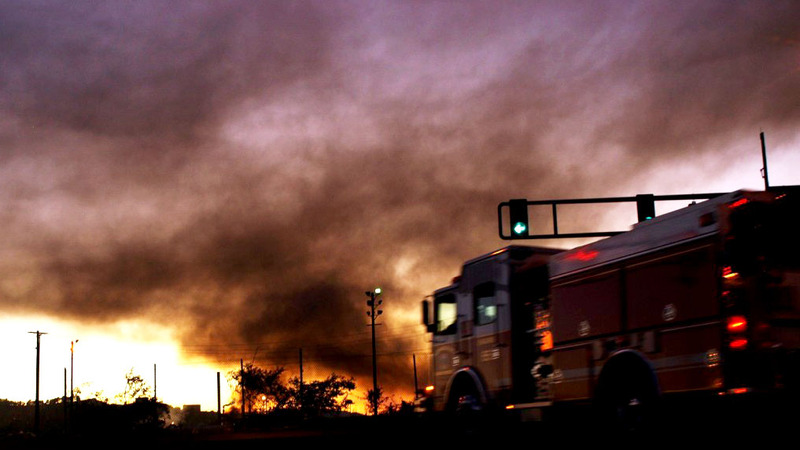 The explosion unleashed “a large black cloud of smoke, which also swept across the surrounding area,” said the report. As a result, Contra Costa Health issued a shelter-in-place advisory that stayed in effect for almost five hours. In the following weeks, more than 15,000 people went to doctors “for ailments including breathing problems, chest pain, shortness of breath, sore throat, and headaches,” according to the report. The resulting impact on the community went beyond the medical. “That explosion really changed a whole lot of people’s attitudes” about Chevron, said Soto, who had been hired by Communities for a Better Environment less than a week before. Richmond City Councilmember Gayle McLaughlin, a member of the Richmond Progressive Alliance and a former Green Party mayor, is a longtime critic of Chevron. She is among those convinced there is a link between the refinery’s emissions and chronic breathing troubles. “I most definitely attribute a lot of the blame for Richmond’s high rates of asthma to the Chevron refinery,” she wrote in an email exchange with Richmond Confidential, basing her view, in part, on Chevron’s high level of greenhouse gas emissions. In terms of total reported emissions, the Richmond refinery ranks second in California and 15th in the U.S. across all categories of business. It’s first among all Chevron refineries nationwide. That’s according to data submitted by companies to the U.S. Environmental Protection Agency. The EPA puts the information online and lets you track emissions of greenhouse gases by state, facility, type of fuel or category of emissions. For 2014, Chevron reported to the EPA that it released more than 4.2 million metric tons of “carbon dioxide equivalent,” the term used to express different types of greenhouse gases as the amount of carbon dioxide that would have the same impact on the environment. It’s pretty clear the refinery is a major source of pollution. It’s not so clear that all this pollution causes asthma. Some researchers suspect that “some genetic and environmental factors interact to cause asthma,” the NIH article report, but exactly how this happens is a mystery even to them. It appears scientists have plenty of hunches and some reasonable theories but not much concrete proof. No one really knows for sure how air pollutants or other factors trigger respiratory disease. The NIH report specifically discusses one theory about the cause of asthma, known as the “hygiene hypothesis.” For some children, growing up in a spotless household might put them at higher risk of asthma because the “emphasis on hygiene and sanitation” has reduced your exposure to certain infections in a way that affects how your immune system develops. When a person has an asthma attack, his or her immune system overreacts to some irritant. It closes or narrows the airways to keep out a perceived invader that may pose no real threat at all. One of the primary risk factors that can increase a person’s chance of having asthma is “exposure to exhaust fumes or other types of pollution,” according to the Mayo Clinic. It’s just not clear how you can separate the effects of exhaust fumes from refinery emissions from the effects of, say, dust mites from cockroaches or even fastidious sanitation. Reading all of this left me feeling as if I had been mentally running in place—breathless, yet I had gone nowhere. What’s more, Chevron knows researchers can’t prove it’s to blame for asthma. The oil company looked at research from the Centers for Disease Control and Prevention, the University of California at Los Angeles, the Contra Costa Asthma Coalition and the Bay Area Air Quality Management District. “What we have found the experts saying is that the link between air quality and asthma is more complicated than is commonly understood,” according to “Addressing Air Quality Health Concerns,” an article in a 2010 issue of the refinery’s newsletter. When Bay Area resident Jenesse Miller, communications director for the California League of Conservation Voters, was diagnosed with asthma, she wanted to blame the likes of Chevron. “I felt angry at Chevron and Shell Oil, at climate change deniers, at their lobbyists, at any and every person I could think of to blame for polluting the air I breathe,” she wrote in an essay on the league’s website. She sees a clear relationship between air pollution and asthma but also acknowledges there is more to it than that. “My asthma wasn’t caused by just one thing, and it’s impossible to distill blame from an endless list of biological and environmental factors,” she continued. Scientists have uncovered evidence of a genetic component of asthma that may be particularly important to a large portion of Richmond’s population. A study funded by the National Heart, Lung, and Blood Institute found a gene that researchers linked specifically to African Americans with asthma. It is present in 26 to 29 percent of people of African descent, less than 5 percent of Latinos and almost no Caucasians. As a result, African Americans with asthma tend to have more severe symptoms. Even if air pollution shares some of the blame for asthma in Richmond, Chevron is not the only source of the trouble. The refinery may be the most notorious because of Chevron’s name, high-profile status and influence on the city, but it’s hardly Richmond’s only significant polluter. One of the troublesome spots is the United Heckathorn Superfund Site, which is located in Richmond Harbor. The production and transportation of pesticides in and through the region has left high levels of DDT and other contaminants despite cleanup efforts. United Heckathorn has been on the EPA’s Superfund list of toxic cleanup sites since 1990. The U.S. Agricultural Health Study, which was published in the American Journal of Industrial Medicine, showed there was an apparent relationship between asthma and exposure to DDT and other pesticides. Other scientific research has also shown that Chevron is not the only source of pollution to be worried about in Richmond. Communities for a Better Environment, the advocacy group for which Soto has been organizing in Richmond, was among those in the forefront battling refinery emissions on health grounds. When a study it was part of looked at the evidence, it became clear that demonstrating cumulative impacts of multiple pollutant exposures was also relevant to the organization’s mission,” according to a commentary by the NIH on the Northern California Household Exposure Study. In other words, CBE hoped to demonstrate the effect the refinery has on people’s health, but researchers uncovered other polluters that have a significant impact as well. Surrounded by so many sources of pollution, it seems a kid in Richmond couldn’t possibly hold her breath long enough to keep out the bad air. A number of measures are in the works that will try to address pollution and its consequences and which may prove significant to Richmond including a couple of bills in the state Legislature. Senate Bill 350, the Clean Energy and Pollution Reduction Act of 2015, calls for a 50 percent reduction in petroleum use by vehicles by 2030, which is equivalent to taking 36 million cars and trucks off the road. Petroleum diesel is the most common form of diesel fuel. Research suggests there may be a tie between diesel pollution and asthma. Sources of diesel pollution in Richmond include trucks on freeways, rail yards around residential areas and cargo ships coming into Richmond Harbor. Plus, the Arizona Department of Environmental Quality identifies emissions from cars as the main cause of ozone pollution, which has also been linked to asthma. In its 2015 State of the Air report, the American Lung Association gave Contra Costa County a C grade for ozone. That was an improvement from 2014, when the county got an F.
Governor Jerry Brown approved the bill in October. Another proposal, Senate Bill 535, would earmark 25 percent of the money California earns from cap-and-trade credits for projects to benefit “disadvantaged communities.” These are chosen by the California Environmental Protection Agency based on data from a community-health screening tool, known as CalEnviroScreen. An area’s CalEnviroScreen score is determined by measuring environmental and socioeconomic factors such as ozone levels, hazardous waste, poverty levels—and visits to hospital emergency rooms for asthma. Ultimately, CalEPA marked nearly 2,000 census tracts in California as disadvantaged communities, including seven in Richmond. Four of those are in the 94801 ZIP code where the refinery is located. Much of California, however, fares considerably worse than Richmond on this measure. For example, the section of Richmond with the worst score still fared better than about a thousand other places. The City of Los Angeles alone makes the list 369 times. Torrance, where I grew up, has eight areas considered “disadvantaged,” about the same number as Richmond. 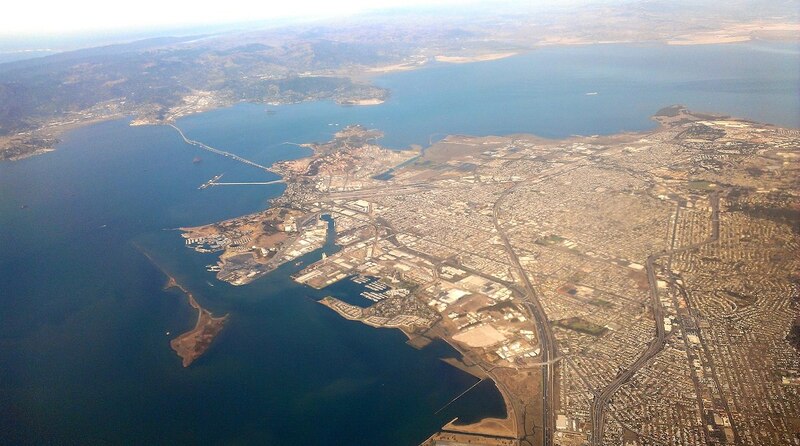 Closer to my new home, the Bay Area Air Quality Management District has drafted a set of “refinery rules” to address emissions from the Bay Area’s five biggest refineries, all in the East Bay: Chevron in Richmond, Valero in Benicia, Shell in Martinez, Phillips 66 in Rodeo and Tesoro north of Concord. The proposed rules would direct the refineries to: reduce harmful emissions by 20 percent or as much as practical by 2020; continuously monitor their emissions and report the results each year; and assess the health risk posed by pollutants. The refineries would be held to industry “best practices,” meaning that when they “modernize or make significant changes to the type of crude oil they use, they will be required to use the best available control technology to reduce smog-forming, toxic and climate pollutants,” according to the district’s website. The district’s board of directors will consider the rules at a public hearing on December 16. From the moment I began covering Richmond in August, I quickly started to feel it was unlike any other city I’d ever spent much time in. It embraces its history and seems to welcome its future. Residents and leaders seem determined to bring out the good in Richmond and not let the city or themselves get brought down by the bad. There are some key differences, though. Some of them can be seen in U.S. Census data. Just under half of Torrance’s population is made up of people of color; among them, most are Asian. Approximately 70 percent of Richmond residents, on the other hand, are not white, and the dominant racial groups are African Americans and Hispanics/Latinos. Plus, the median household income is roughly $23,000 higher in Torrance than in Richmond. Torrance also seems to be considerably safer than Richmond. There were only 87 murders and “non-negligent manslaughters” in Torrance from 1985 to 2012, according to data from the FBI. Over that same timespan, it only took Richmond until 1988 to reach 87; in all, it had 928 such killings in those 27 years. The biggest difference, however, just might come down to a corporate showdown between the two refineries. The refinery in Torrance was an imposing presence in my childhood and it undoubtedly has had a significant impact on the environment. It doesn’t seem to be such a big deal, though, stacked up against Chevron in Richmond. At 2,900 acres, the Chevron refinery takes up almost four times as much space. Nor does ExxonMobil exert the kind of economic clout in Torrance that Chevron wields in Richmond. Six companies employ more people than ExxonMobil in Torrance, according to a 2012 list of major employers in Torrance that was released by the city. Honda has its U.S. headquarters there. ExxonMobil is a major player, but it’s not the only or the biggest player in town. So, the Chevron refinery contributes to dirty air in Richmond, which definitely is not good for public health, but it is not the lone villain. I can’t be sure if it’s the worst villain. As for anyone’s breathing issues, or asthma cases, researchers are looking into it, and may someday reach a solid answer, but I won’t hold my breath. California there is No Carbon, Methane or Nuclear Budget !